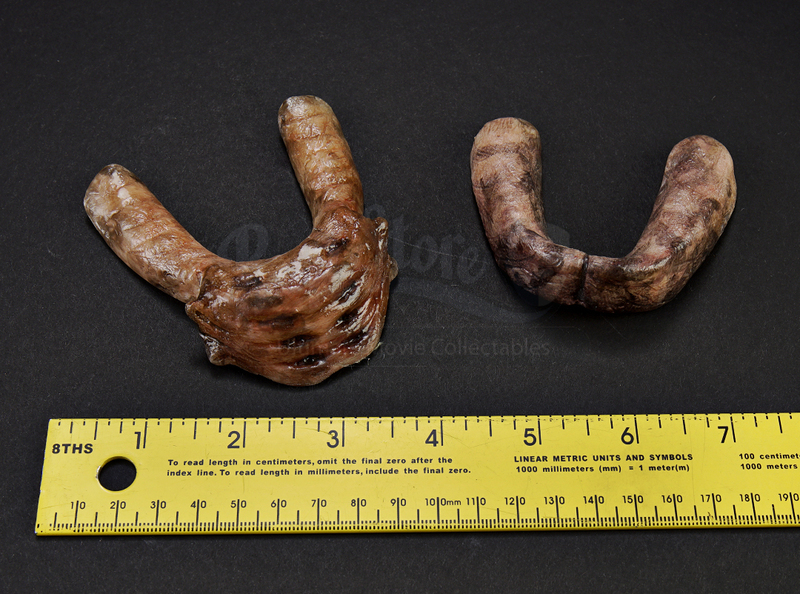 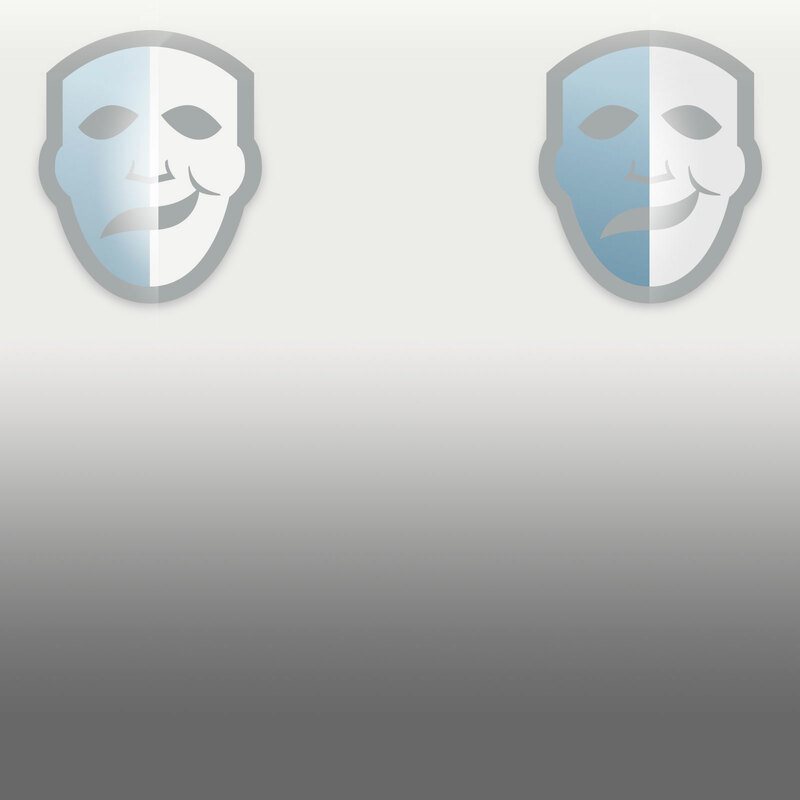 A River Ghost (Carey Jones) Mouthpiece set from Robert Rodriguez's 2011 sci-fi horror film Predators. 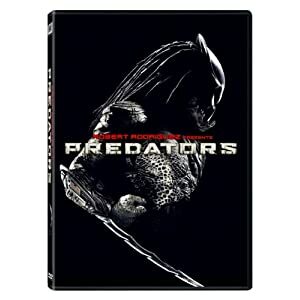 In the film, a group of human warriors are brought to an otherworldly planet where they are hunted by a vicious alien race known as Predators. 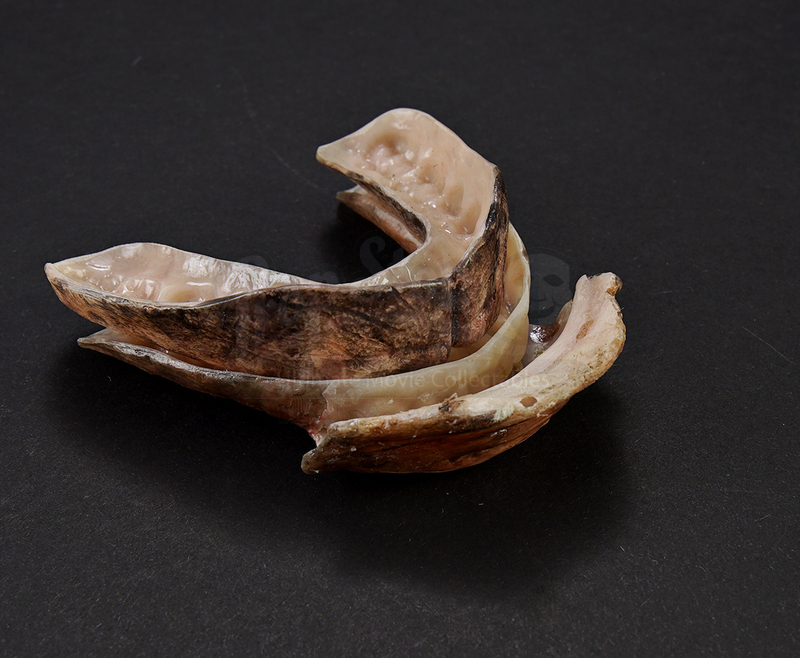 Mouthpieces like these were used during production to cover up an actor's teeth while they are in costume. The mouthpiece set was cast in plastic using a mold of actor Carey Jones' teeth. 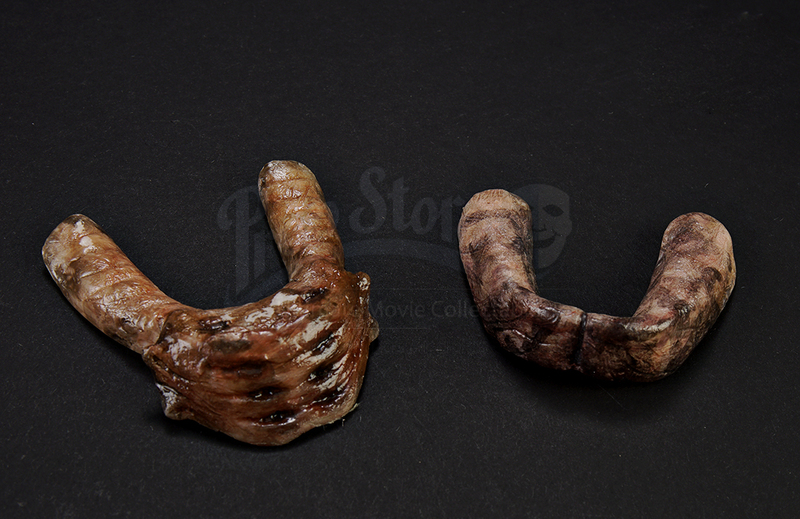 A flesh-like plastic cast protrudes from its front in order to cover the actors lips, and is painted pink and black to imitate the skin of the insect like River Ghost. 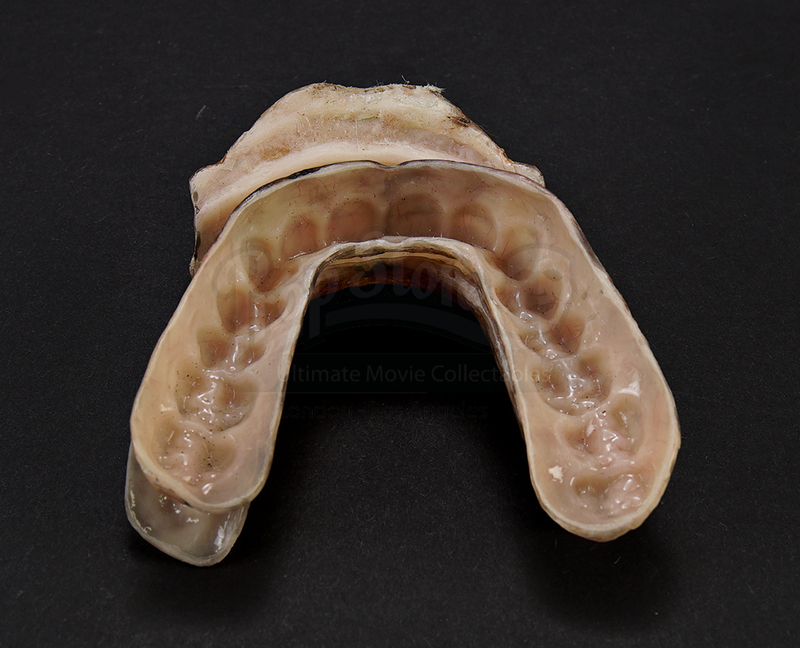 The piece has some wear from production but remains in overall very good condition.